A short while has passed since Hacke’s album established him at the forefront of the german newnew wave. No better time then for a dinky remix twelve, pairing spanish frontliner Under with hardy veteran Tejada. Tejada uses clipped handclaps, and a delightful circular drone motif, which is melodic and seems to orbit the clearly delineated elements of the track, bringing much needed melodic succour and broadening out the sound of this funky techouse groover. A righteous bubbler from John Tejada. 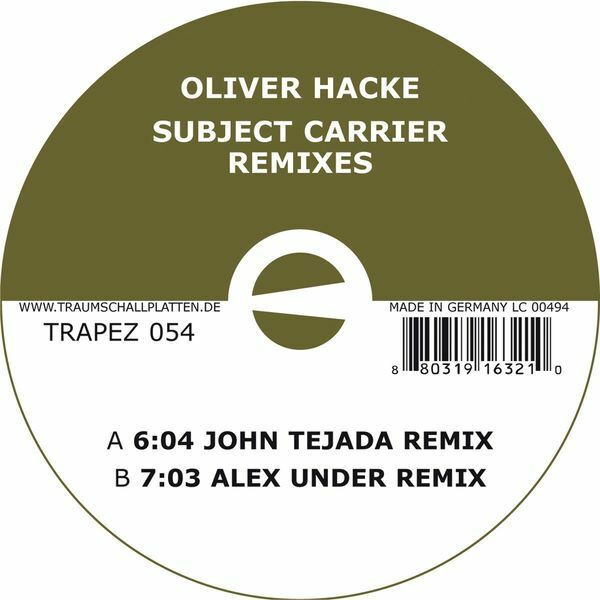 Alex Under seems to draw from a deliberately and self-consciously restricted palette for his own music, and here he utilises the same principle to really bring microscopic remix detail to Hacke’s tune. At low volume its almost impossible to discern the changes and considerable variation at play in this huge remix. Nothing much to quibble about here – a trusty accomplice in any disco.